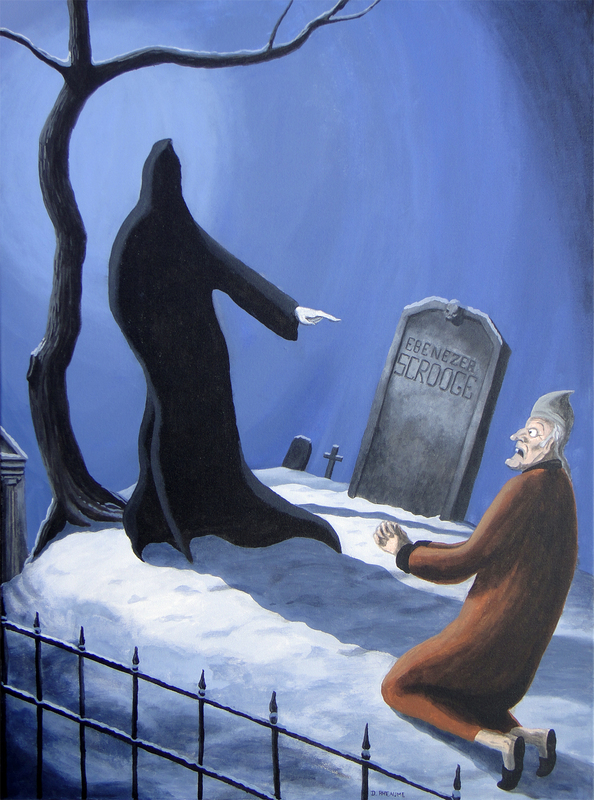 Scrooge vs. the Ghost of Krismas Future. Part of the Krismas Carol exhibition sejak award-winning Toronto artist Dave Rheaume. HD Wallpaper and background images in the Charles Dickens club tagged: photo christmas carol scrooge ghost future. This Charles Dickens photo might contain tanda, poster, teks, papan hitam, chalkboard, california singa laut, zalophus californianus, zalophus californicus, california sea lion, mimbar, meja membaca, lectern, and meja bacaan.